I went ahead with trying to create a light activated disco ball. When a light is shown on the necklace, a motor spins a disco ball pendant. I went about trying to create the circuit and test the disco ball attachment to the motor. 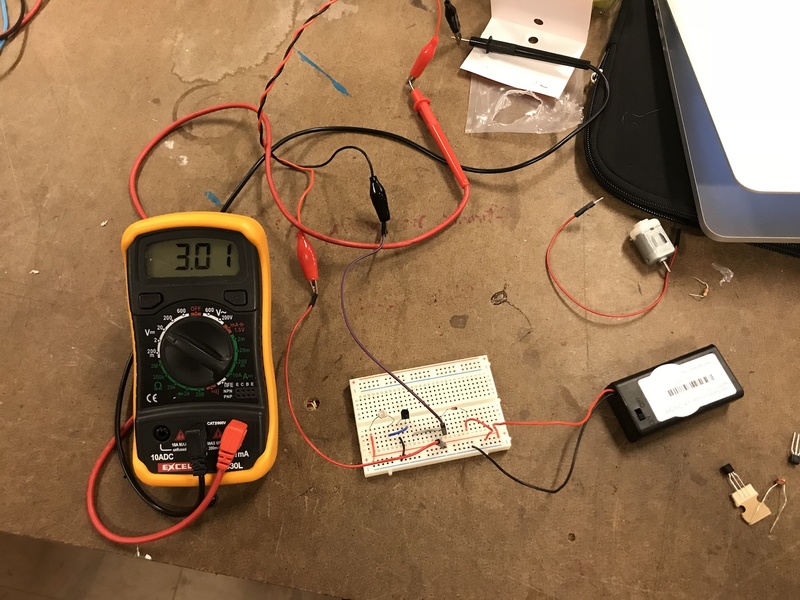 I powered a small 3V DC motor with 2 AA batteries. I found this circuit online. I tried to get it working but something seemed to be limiting the amount of current to the motor. 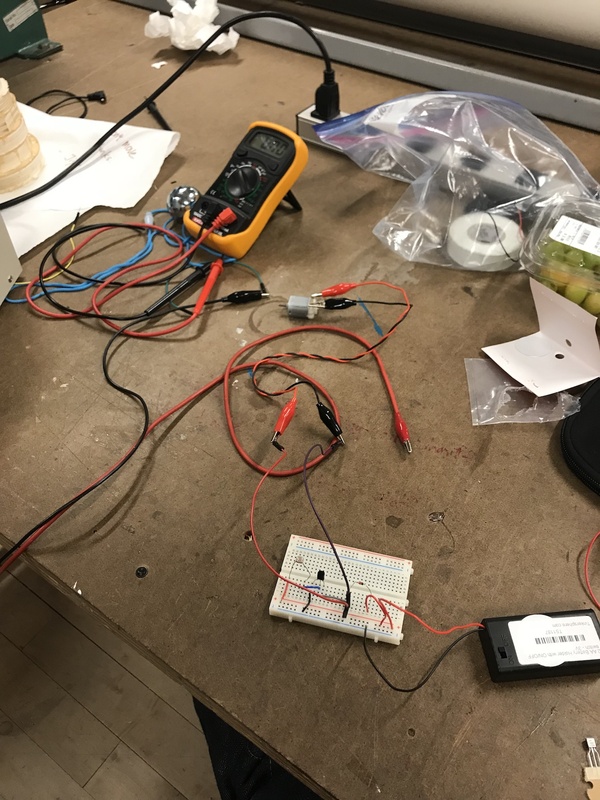 My 2 AA batteries were enough to power the motor alone, but for whatever reason it wouldn’t work in this setup with a transistor. 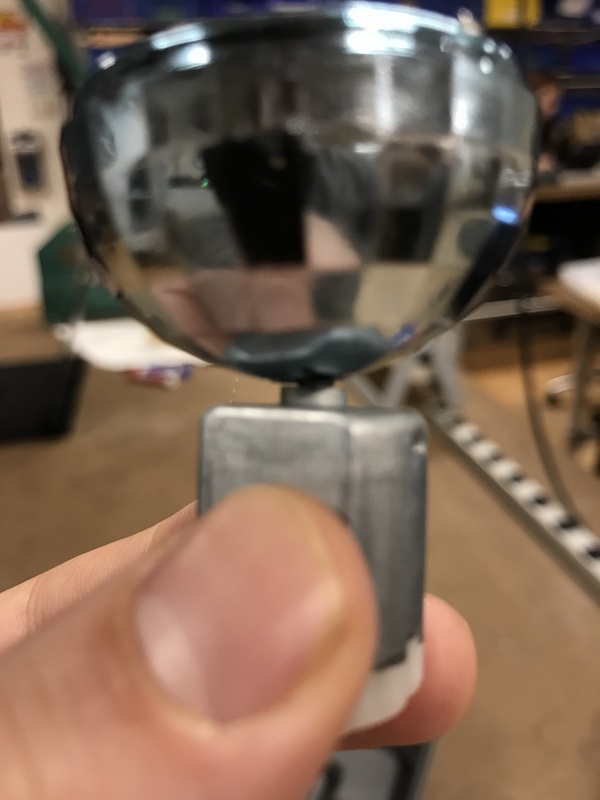 I took a break from the circuit to try attaching my disco ball pendant to a motor. 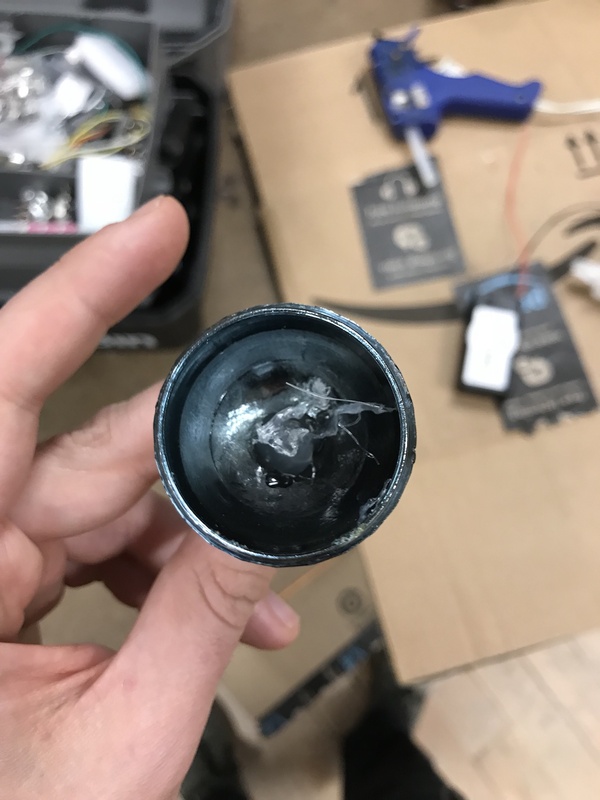 I drilled a small hole and then hot glued the motor shaft to the pendant. We’ll see how durable this is, but for a prototype it’ll work. I went back to the drawing board on the circuit, and consulted Tom Igoe. Here’s the next circuit I will try. It may need further tweaking to ensure that the motor isn’t always on. Once the circuit works, I’ll design an enclosure. 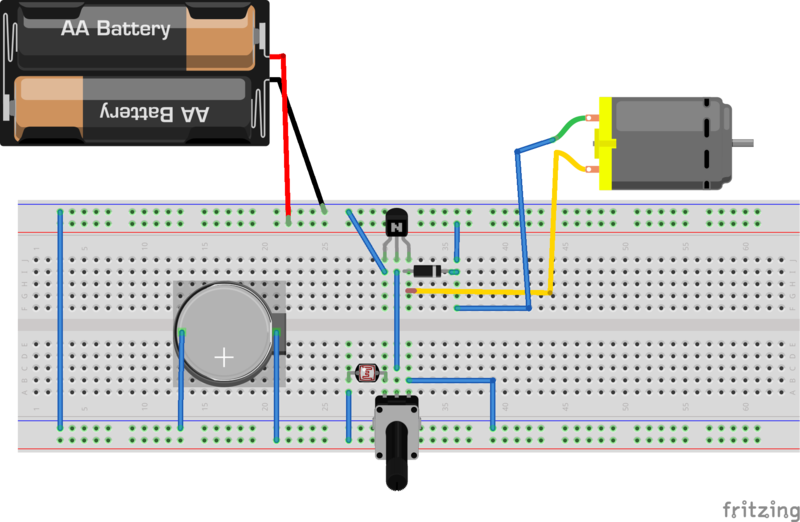 I’m thinking I will make a 3D printed box or an acrylic case for the circuit/motor/power.